Lovelyz�has caught attention for their 'broadcast accident'. 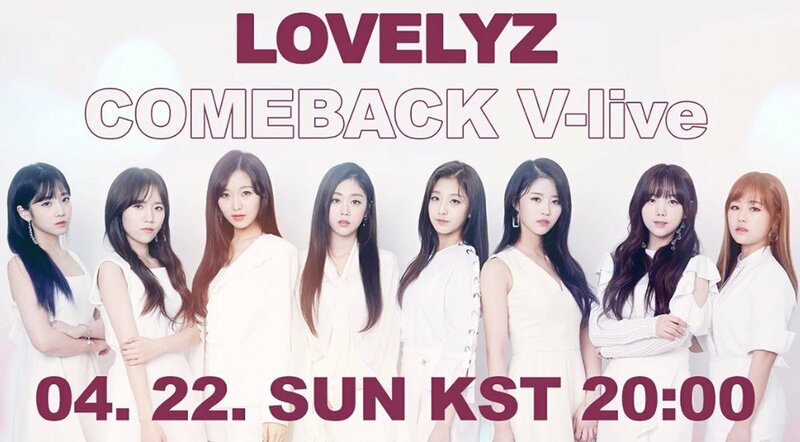 The girls had a comeback live yesterday at 8PM KST. However, before the 'V' actually aired, the girls' voices were carried out live while the screen was still on standby. The girls showed love for their fans, saying, "I really like doing 'V' app broadcast," "I can't wait to see our fans," "Don't you want to do 'V' app every day? ", and more. The 'accident' continued until the actual broadcast, with the girls not realizing that the broadcast had started. Fans are finding their love for their fans adorable.. but some skeptics think the 'accident' might not actually have been an 'accident', but planned beforehand.